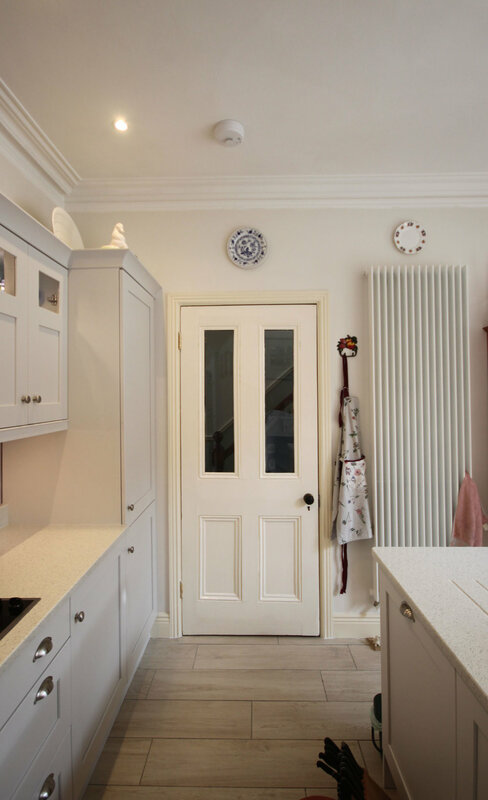 This attractive 19th century house needed brightening and warming up, as well as a better living area and garden. 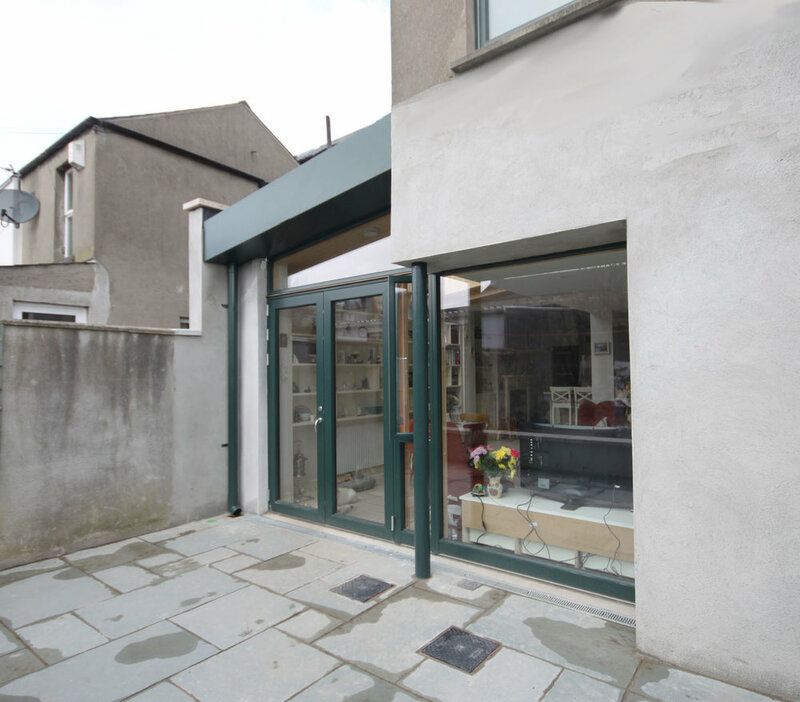 An old lean-to kitchen extension was removed and a design that "filled in the blank" between the existing 2 storey annex, and the shared boundary wall, was devised. The new living space includes a kitchen placed in the old formal dining room, which opens onto a sitting and dining area that look out onto the new squared off garden. High quality glazing, extra insulation and triple glazed roof lights ensure the space is snug all year round. "...the design and lay out of the new build offers us a good social space with a lot of light and views over the garden which has now become an extension of our living space. It is also a very warm space even when the heating is not on."